more and more people are developing cancer, the costs for new medicines are rising as never before, the chances of recovery are changing. 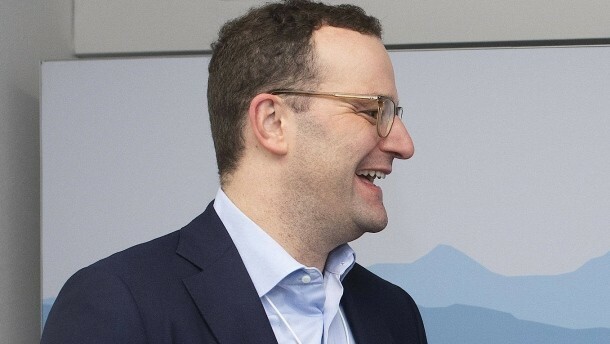 For the Federal Minister of health, Jens Spahn, the reason enough, next Tuesday, together with the Minister for research, Anja Karliczek (both CDU) and the German cancer research center and the German cancer aid, the “National decade against cancer”. “Our goal is to bring research and hospitals, better together,” said Spahn, at the world economic forum in Davos. Biotech companies need to be better integrated, families and patients. A German Initiative alone is not sufficient. “After the European elections, it is my goal to begin such a project in Europe,” said Spahn. Other Nations have decided to fly again to the moon, the people have more of it, when in initiatives with concrete Benefits for each individual patient will be invested. Indeed, cancer with the ageing population around the world is becoming a bigger Problem. In the past year alone, and 18.1 million new cases are diagnosed, and 9.6 million people have died in the same year of her illness. The disease is also more and more emerging countries to be a serious Problem. “Despite all the progress, we are in the fight against cancer is not successful enough. In addition, the people are getting older, thereby, changes in the genetic makeup of the people who are still explored too little result,“ said Julie Louise Gerberding, Manager of the American pharmaceutical company MSD. Also, due to the strong increase in research expenditures, the prices for new cancer drugs has risen substantially. In the year 2017, the average price for a total therapy of 100,000 euros; in the past year, no new drug has come on the market, the cost for the total therapy had less than 100,000 euros. “The drugs are so expensive because they work,” said Gerberding. The costs could be better controlled, once you know better, and who react how. In addition, the treatments for Aids have shown that prices could decrease again.